Why do people buy? There have been many studies that have been undertaken on this most important topic for any business. Too many people think price is the major reason people will buy from them. Here are the results of one survey, which replicates the results of many before it on why people buy. It may surprise you to know that Price is only the fifth most important reason people choose to buy. In other words, if you can convince someone that there is no risk when they buy from you, you have overcome the biggest reason why they might go somewhere else. Your product may meet 4 out of the above criteria, but if the buyer doesn’t have the confidence that you can deliver, they will never buy. 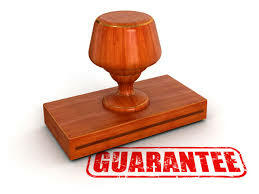 That is why guarantees are so important. They reverse the risk from the buyer to the seller. So there is no reason for them not to buy your service if it meets all their other needs. It is the final proof that your solution will work for them You are willing to put your money where your mouth is! Guarantees work. You find a product that you think meets your needs. Particularly if it is not a commodity product (an example of a commodity product might be a DVD of your favourite movie- you know exactly what you will be getting, and it is the same product at every store.) But for a non-commodity product or service, there is certainly more risk., and the higher the price, the higher the risk. Now I can hear lot of people screaming- and possibly you as well, “Guarantee Abuse”. I will cover that in a later post. When someone buys from you for the first time, they are taking a risk. If it is a new product or service, or just a type of service that they have never tried before, they will see a risk. After all, they have lived their whole life up to now putting up with the problem you want to solve for them. The easiest thing for them to do, is to just keep on going as they are – that is not to buy from you, and there is a chance that what you say is not true, or the product won’t work for them. Or are they using someone else at the moment who is ok, or even pretty good? So why should they make a change? There is always a risk in changing suppliers. If you don’t deliver, they then have to go back to their old supplier. How do you think they may feel about that? You may think there is no risk in using you, but they don’t know that. Unless you prove it by reversing the risk with a strong guarantee. This is such a powerful technique. It usually takes away the last objection to buying from you. After which the close is pretty straight forward. My clients regularly double their conversion rates with this one simple technique. Make the guarantee very specific and clear. For an expensive service, you might make it specific to the first part of the service. So for an architect, the guarantee could be on the initial concept sketch. For an expensive product, it might be 7 days or even overnight (returned in the same condition). While there is a concern with guarantee abuse, generally, you will make more with increased prices and increased sales the guarantee than you will without one, but I will cover this in the second part of this article. 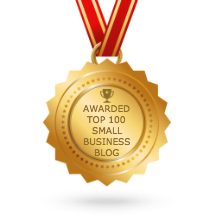 Subscribe to this Blog to be notified about more Small Business news and tips as soon as they are posted. Dr Greg Chapman is the Director of Empower Business Solutions and is Australia's Lea ding Advisor on Emerging Businesses and provides Coaching and Consulting advice to Australian Small Business Owners in Marketing & Business Strategies Planning & Systems. He is also the author of The Five Pillars of Guaranteed Business Success and Price: How You Can Charge More Without Losing Sales. How much should you pay for your brand?